Sony already caters to a large number of customers with its portfolio of products ranging from TVs to gaming consoles, phones and more. Now it is entering an entirely new segment and has launched a taxi-hailing service in Tokyo today. “With one slide, you can call the nearest taxi from the largest taxi network in Tokyo, and it is a taxi dispatch service that you can get off immediately by pre-riding, net payment in the car, or QR code payment,” a translation of the press release states. Sony’s taxi-hailing app is owned by a company named Minna no Taxi (or “Everybody’s Taxi”), which was formed last year. Minna no Taxi is a joint venture between Sony Corporation, Sony Payment Services and several Japanese taxi companies. The press release today lists only five taxi operators, including two of Tokyo’s biggest operators, Daiwa and Kokusai. With more than 10,000 cars, Sony’s taxi-hailing service has the largest fleet in the Japanese capital. The app uses artificial intelligence (AI) technology to coordinate with the drivers and direct them to areas with peak demand. Since the app relies on existing taxi services, payments are made in the form of cash, credit card, or a QR code via a digital wallet. Bloomberg reported Sony’s plan to launch a taxi-hailing service last month. Last year, Sony got a new CEO, Kenichiro Yoshida, who is focusing more on selling content and services than hardware. Sony’s S.Ride could be part of Yoshida’s service-driven plan. As of now, Sony has no plans to launch S.Ride outside of Japan. It’s important to point out that Sony’s S.Ride is a taxi-hailing service, unlike apps like Uber and Lyft. Japan does not allow non-professional drivers to offer taxi services on safety grounds, and taxi-hailing companies are only allowed to offer a service that matches users to existing taxis using mobile platforms. Ride-hailing services, on the other hand, are banned in Japan, and this is why Uber plans to partner with a taxi company to launch its service in Japan. Uber currently has a tiny presence in Japan and offers premium black cars in Tokyo. “It is clear to me that we need to come in with partnership in mind and in particular partnership with the taxi industry,” Uber Chief Executive Dara Khosrowshahi told investors in Tokyo a couple of months ago. The popular chat app Line also launched a similar taxi-hailing service in Japan in 2015. However, the service, which was in partnership with leading taxi company Nihon Kotsu, ended last year. The biggest competitor for Sony’s taxi-hailing service will be JapanTaxi, an app operated by Ichiro Kawanabe, CEO of Nihon Kotsu and chairman of Japan’s taxi federation. More than 60,000 taxis are registered with the service. SoftBank Group and China’s Didi Chuxing also have plans to launch a taxi-hailing service in Japan this year. SoftBank has invested in several ride-hailing firms globally, including Didi, Uber and others. Japan is a lucrative ride-hailing market, and hence, regulators are facing increasing pressure to ease the rules. 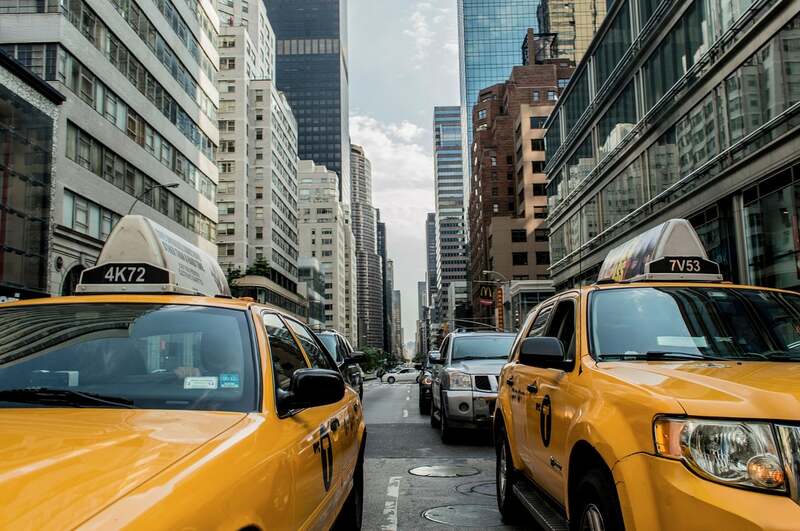 The country’s taxi market is valued at more than $16 billion. Another technology Sony is investing in is making the PlayStation VR headset much more useful. The Japanese company recently filed a patent for a technology that allows users to watch eSports leagues in virtual reality. Sony’s patent, entitled “Spectator View Into An Interactive Gaming World Showcased In A Live Event Held In A Real-World Venue,” details the use of cameras to make users feel like they are attending a tournament. Further, the patent notes that cameras and microphones would be embedded in the seats. These seats will have a proximity sensor to check if a user is sitting or not for the purpose of broadcasting. The patent also talks about allowing users to see inside a game that is being played. eSports is a massive industry attracting tens of millions of viewers. Thus, it is no surprise that Sony wants to benefit from it.